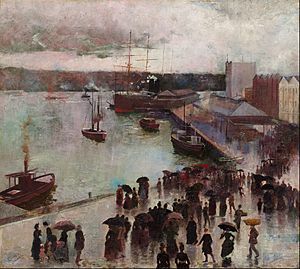 On 24 April 1871, a public meeting was convened in Sydney to establish an Academy of Art 'for the purpose of promoting the fine arts through lectures, art classes and regular exhibitions.' 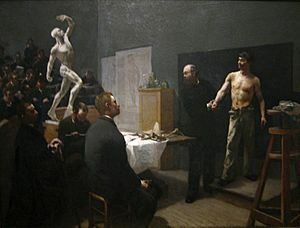 From 1872 until 1879 the Academy's main activity was the organisation of annual art exhibitions. The first exhibition of colonial art, under the auspices of the Academy, was held at the Chamber of Commerce, Sydney Exchange in 1874. 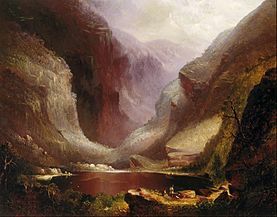 In 1875 Apsley Falls by Conrad Martens, commissioned by the trustees and purchased for £50 out of the first government grant of £500, became the first work on paper by an Australian artist to be acquired by the Gallery. 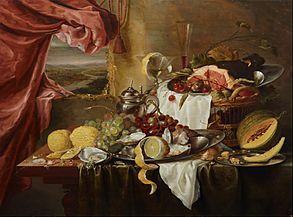 ... the public should be afforded every facility to avail themselves of the educational and civilising influence engendered by an exhibition of works of art, bought, moreover, at the public expense. The destruction of the Garden Palace by fire in 1882 placed pressure on the government to provide a permanent home for the national collection. In 1883 private architect John Horbury Hunt was engaged by the trustees to submit designs. 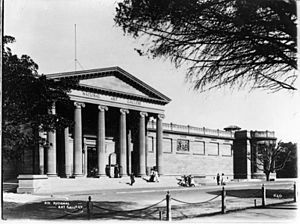 The same year there was a change of name to "The National Art Gallery of New South Wales". The Gallery was incorporated by The Library and Art Gallery Act 1899. Over 300,000 people came to the Gallery during March and April 1906 to see Holman Hunt’s painting The Light of the World. 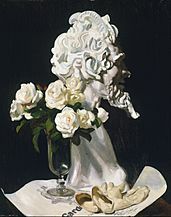 In 1921, the inaugural Archibald Prize was awarded to W.B. McInnes for Desbrowe Annear. The equestrian statues The offerings of peace and The offerings of war by Gilbert Bayes were installed in front of the main facade in 1926. James Stuart MacDonald was appointed director and secretary in 1929. 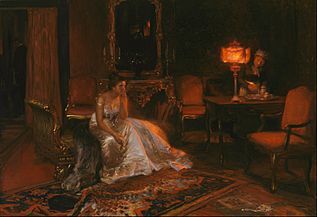 In 1936 the inaugural Sulman Prize was awarded to Henry Hanke for La Gitana. John William Ashton was appointed director and secretary in 1937. 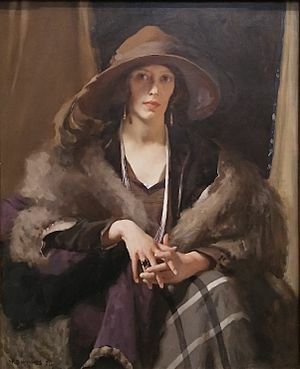 The first woman to win the Archibald Prize was Nora Heysen in 1938 with her portrait of Madame Elink Schuurman, the wife of the Consul General for the Netherlands. The same year electric light was temporarily installed at the Gallery to remain open at night for the first time. 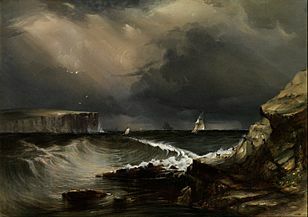 In 1943 William Dobell won the Archibald Prize for Joshua Smith, causing considerable controversy. 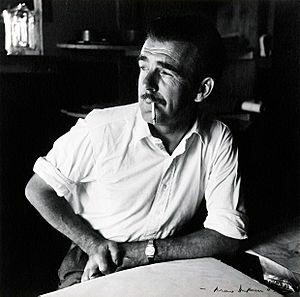 Hal Missingham was appointed director and secretary in 1945. 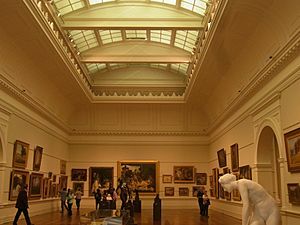 In 1958 the Art Gallery of New South Wales Act was amended and the Gallery’s name reverted to "The Art Gallery of New South Wales". In 1969 construction began on the Captain Cook wing to celebrate the bicentenary of Cook's landing in Botany Bay. The new wing opened in May 1972, following the retirement of Missingham and the appointment of Peter Phillip Laverty as director in 1971. 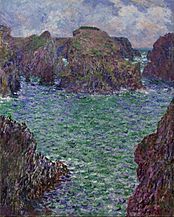 The first of the modern blockbusters to be held at the Gallery was Modern masters: Monet to Matisse in 1975. 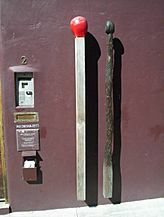 It attracted 180,000 people over 29 days. 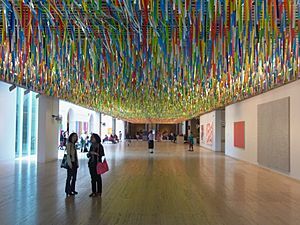 The 1976 Biennale of Sydney was held at the Gallery for the first time. The Sydney Opera House had been the location for the inaugural Biennale in 1973. 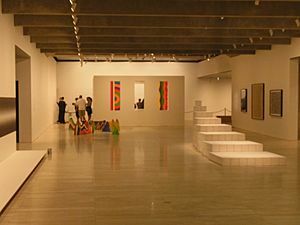 Edmund Capon was appointed director in 1978 and in 1980 The Art Gallery of New South Wales Act (1980) established the "Art Gallery of New South Wales Trust". 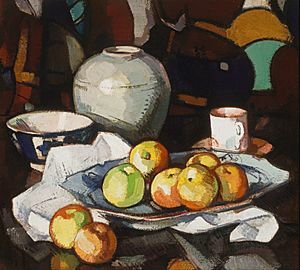 It reduced the number of trustees to nine and stipulated that "at least two" members "shall be knowledgeable and experienced in the visual arts". In 2008 the Gallery purchased Paul Cézanne’s painting Bords de la Marne ca. 1888 for A$16.2 million – the highest amount paid by the Gallery for a work of art. 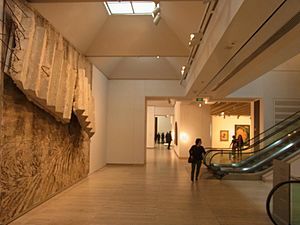 In the same year the NSW Government announced a grant of A$25.7 million to construct an offsite storage facility and a gift from the John Kaldor Family Collection to the Gallery was announced. Valued at over A$35 million, it comprised some 260 works representing the history of international contemporary art. The refurbishment of the 19th-century Grand Courts was celebrated in the Gallery’s inaugural 'Open Weekend’ in 2009. The International design competition for the Sydney Modern Project resulted in five architectural firms being invited from an original list of twelve to submit their final concept designs in April 2015. A mix of private and NSW Government funds will pay for the A$450 million project, The firm of McGregor Coxall was chosen to redesign the gardens. The project has attracted controversy for its expense and encroachment into the public land of The Domain and the Royal Botanic Gardens and its dependence on "much greater commercialisation". 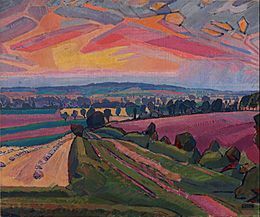 In 1883 John Horbury Hunt, an architect in private practice, was engaged by the Gallery’s Trustees to design a permanent gallery. 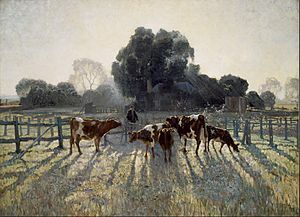 Though Hunt submitted four detailed designs in various styles between 1884 and 1895, his work came to nothing apart from a temporary building in The Domain. With raw brick walls and a saw-tooth roof, it was denounced in the press as the "Art Barn". Newly appointed Government Architect, Walter Liberty Vernon, secured the prestigious commission over John Horbury Hunt in 1895. 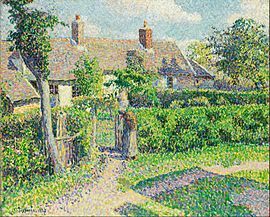 Vernon believed that the Gothic style admitted greater individuality and richness 'not obtainable in the colder and unbending lines of Pagan Classic.' 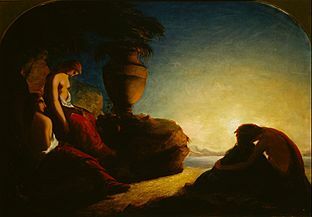 The Trustees were not convinced and demanded a classical temple to art, not unlike William Henry Playfair's Scottish National Gallery, Edinburgh, opened in 1859. In 1909 the front of the Gallery was finished and after this date nothing more was built of Vernon's designs. In the 1930s plans were suggested for the completion of this part of the Gallery but the Great Depression and other financial constraints lead to their abandonment. 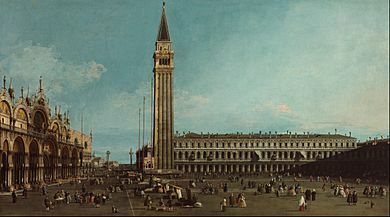 He [Venturi] argued the case for richer and more complex forms of architectural expression – for 'the juxtaposition of old and new' for dramatic visual impact, rather than striving for unity and consistency in architecture that conventional precepts then dictated. Sixteen years later the 1988 Bicentennial extension was built on The Domain parkland sloping steeply to the east. Within the constraints of two large Moreton Bay fig trees, and with a substantial part of the accommodation below ground level, the extension doubled the size of the Gallery. Space for permanent collections and temporary exhibitions was expanded, a new Asian gallery, the Domain Theatre, a café overlooking Woolloomooloo Bay, and a rooftop sculpture garden were added. Escalators connected four exhibition levels with the entry/orientation space. Four contemporary art 'rooms' were top lit by pyramid skylights. A new space for Asian art was built to add to the existing Asian art gallery immediately below. Backlit translucent external cladding glows at night and has been dubbed the "light box". This addition was coupled with other alterations: a new temporary exhibition space on the top level, new conservation studios, an outward expansion of the café overlooking Woolloomooloo Bay, a new restaurant with dedicated function area, a theatrette and relocation of the gallery shop. The project was designed was by Sydney architect Richard Johnson and was opened on 25 October 2003. The space involves art from all corners of Asia, including Buddhist and Hindu arts, Indian sculptures, Southern Asian textiles, Chinese ceramics and paintings, Japanese works and more. Plans to extend the gallery under the name the "Sydney Modern Project" resulted from a competition won in 2015 by Tokyo architects Kazuyo Sejima + Ryue Nishizawa of SANAA. The chosen design, which proposes a massive extension to the north, have been criticised on architectural as well as public interest grounds. 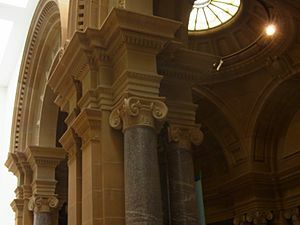 Former architect Andersons described it as intrusive, "colliding" with Vernon's sandstone facade and relegating his portico to a ceremonial entrance. Former Prime Minister Paul Keating criticised proposals to significantly develop the outdoor spaces near the gallery for use as private venues as more about money than art. The Foundation and Friends of the neighbouring Royal Botanic Garden are concerned about the "loss of green space and Domain land should the Project proceed". 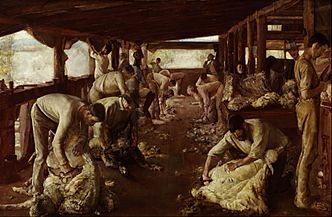 In 1871 the collection started with the acquisition by The Art Society of some large works from Europe such as Ford Madox Brown's Chaucer at the Court of Edward III. 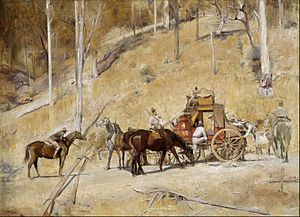 Later they bought work from Australian artists such as Streeton's 1891 Fire's On, Roberts' 1894 The Golden Fleece and McCubbin's 1896 On the Wallaby Track. 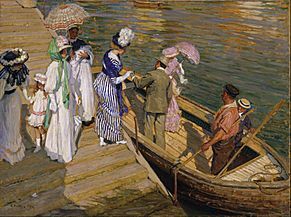 The gallery has an extensive collection of British Victorian art, including major works by Lord Frederic Leighton and Sir Edward John Poynter. 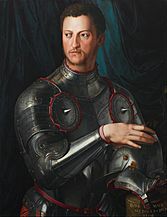 It has smaller holdings of Dutch, French and Italian painters of the 16th, 17th and 18th centuries, such as Peter Paul Rubens, Canaletto, Bronzino, Domenico Beccafumi and Niccolò dell'Abbate. 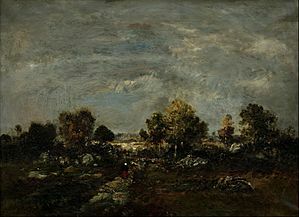 These works hang in the Grand Courts along with works by Eugène Delacroix, John Constable, Ford Madox Brown, Vincent van Gogh, Auguste Rodin, Claude Monet, Paul Cézanne and Camille Pissarro. Art Gallery of New South Wales Facts for Kids. Kiddle Encyclopedia.